Div 1 Nema 4X - Solution Control Systems Inc. Div 1 Nema 4X - Solution Control Systems Inc. 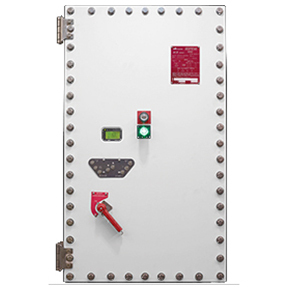 These packages are built using flame proof enclosures and we can integrate up to maximum of 5 HP drive in 480 V or 575 V or smaller horsepower in lower voltages into these enclosures. We can also out source these panels up to 60 HP come with special filter/fan assemblies which are rated for division 1 area. Keypad can be explosion proof type or we can offer the operators for most common functions like, start/stop, speed control, run or fault status lights. The typical application for these type of panels is on portable skids for classified area where the control panel can be installed far from the system it is operating. There are more solution available for drives in hazardous area, just contact us or send us more details about your application.